SAN JUAN, MM--Coach Yeng Guiao said that the spot of Cleveland's Jordan Clarkson for Gilas Pilipinas can still be filled even if the latter failed to get the nod from the NBA to join the team for the Asian Games. "Kung pwede nating maihabol pa yung isang player, habol natin," said Guiao. 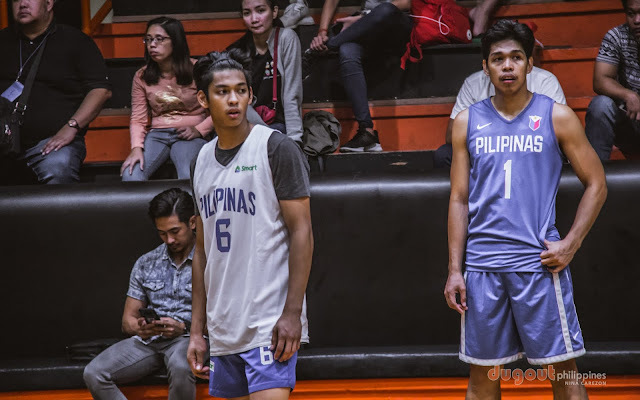 Right after practice on Friday night, Guiao announced that Clarkson will be part of the final lineup of the national team to Jakarta for the Asiad, and he was declared eligible by the Indonesia Asian Games Organizing Committee. However, reports early Saturday said that Clarkson, despite getting a go-signal from the Cavaliers, failed to get a clearance from the NBA to play right away for Gilas in the Asian Games, although the league allowed him to play in the fourth window of the FIBA World Cup Qualifiers. Clarkson's spot will likely be taken by Don Trollano, but Guiao said that Gilas will still be ready even if the move to replace Clarkson with Trollano will be disapproved. "Kung hindi [maihabol], we'll stay with 11 players. Magiging 11 lang tayo," Guiao added. Gilas will first face Kazakhstan on Thursday.